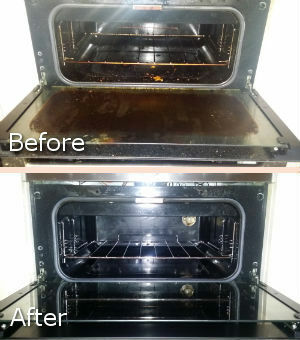 If you need help with the cleaning of the oven in your home or restaurant you can use our services. We can sanitise and remove the grease and burnt food from the internal and external surfaces of your cooking appliances. Our company offers cost-effective and efficient oven cleaning in Kilburn to holders of domestic and commercial kitchens. 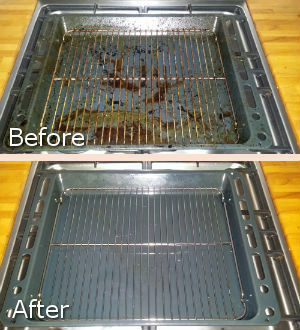 Our cleaners are supplied with effective dip tanks, detergents and cleaning solutions which, given their experience and skills, can make your oven shine. Let them handle the oven cleaning and the results will be excellent. Our company offers high-quality oven cleaning which can be used in domestic and restaurant kitchens in Kilburn and nearby. Our staff work effectively and expeditiously applying the most suitable detergents and approaches. They can make your oven look like new after removing the carbon deposits, grease and food stains. Our cleaners take apart the detachable oven components and soak them in hot cleaning solution. They scrub and rinse them which ensure the removal of stubborn stains and grease. Use our services to keep your cooking appliance in perfect state. Our cleaners spray inside the appliance with suitable solutions which remove grease and carbon deposits. They wipe clean the body and hobs of the oven with suitable detergents and cloths. Our staff reassemble the soaked, rinsed and dried components back on their places and test the appliance in the end. We guarantee you that you will have faster heating and better functioning appliances if you use our oven cleaning services in Kilburn for you home or restaurant. The cleaning will be conducted whenever it is convenient to the customer and our staff. Contact our call centre or online chat to schedule your oven cleaning.